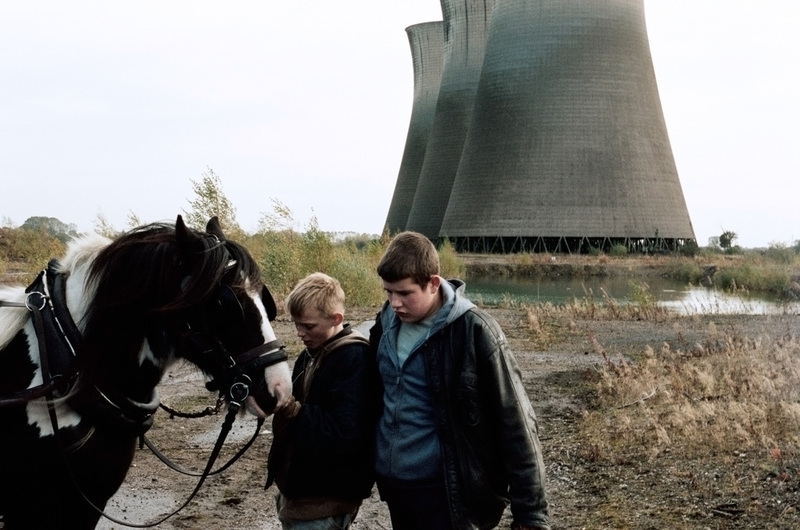 This article is a review of THE SELFISH GIANT. - Amma Asante pulled no punches in an upsetting and well played look at teenage hopelessness and racism in modern day Wales, in A WAY OF LIFE (2004). - Paddy Considine also made the transition from acting to director look exertionless in TYRANNOSAUR (2011), a harrowing portrayal of domestic violence and canine intimidation. - Andrea Arnold in both FISH TANK (2009) and WUTHERING HEIGHTS (2011) adroitly handled youth isolation and neglect and abuse. - Artist turned filmmaker Steve McQueen blasted into our consciousness, bringing Michael Fassbender with him, in prison protest drama HUNGER (2008). 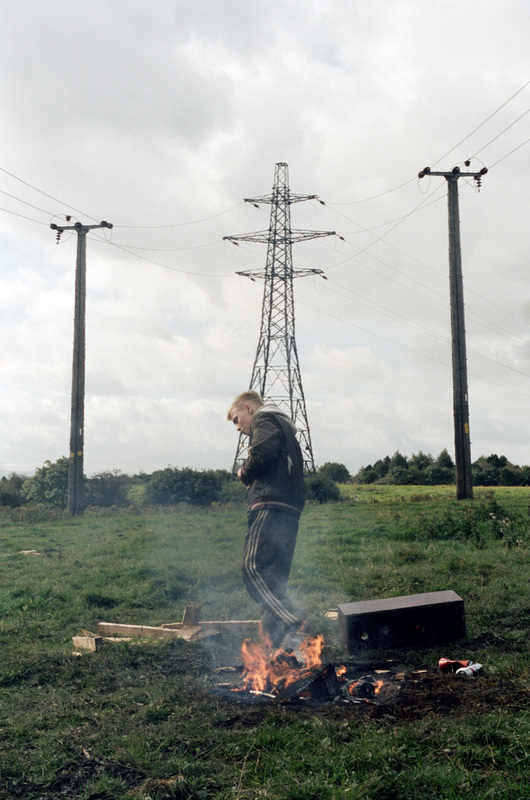 - Shane Meadows has made a career of chronicling an interloper’s mayhem once they have inserted themselves into a group, from A ROOM FOR ROMEO BRASS (1999) to THIS IS ENGLAND (2006). - Let us not forget the grand doyens: Ken Loach and Mike Leigh. And now we should add writer-director Clio Barnard. She showed outstanding promise with her feature debut, documentary THE ARBOR (2010). It analysed innovatively, creativity and the consequences of inner demons not wrestled with. Now Barnard keeps sentimentality at bay with a flamethrower of a film. 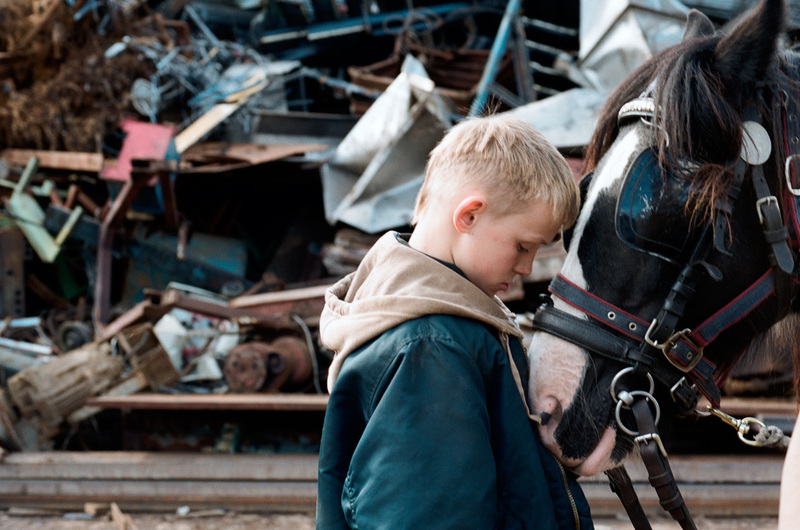 THE SELFISH GIANT has a Hans Christian Anderson fable quality to the title, though this is no fairy tale, even as it opens on a beautiful night vista of horses in a field. The peacefulness is broken almost immediately by 13 year old Arbor screaming under his bed; only calmed by the appearance of his gentle best friend, Swifty (Shaun Thomas). The two young actors are superb, ably supported by the adults around them. Arbor represents a certain nightmarish adolescent to many – uncontrollable by mother/school and no role models; he gets up to mischief that segues into criminality. Seeing him in action initially, he brazenly steals from thieves. Quickly excluded permanently from school, he is now the true marginalised. What is he to do with his time? No other school will take him. He can’t legally work. There are no wholesome distractions. Leading Swifty astray, they start to purloin metal to sell to the ‘giant’ of the title, Kitten (Sean Gilder) – a deceptively monikered scrapyard merchant. Fully aware of the dubious sources, he is happy to take what Arbor and Swifty deliver. (If you’ve read THE CORNER, by David Simon and Edward Burns, which was eventually used as a basis for THE WIRE, you will notice a companion dissection of these nefarious dealers across the pond in the United States.) Coincidentally, the Berlin Film Festival this year gave the Silver Bear to AN EPISODE IN THE LIFE OF AN IRON PICKER, showing the desperation in the lives of those who work such a job. Kitten, channelling Fagin-esque qualities, appears bottomless in his amorality. - The ideology of survival of the fittest. There appears to be a strengthening in the world right now of the latter concept. To quote author David Mitchell, “The weak are meat the strong do eat” from CLOUD ATLAS. The line epitomises THE SELFISH GIANT. It slowly becomes a film about regression; about a poverty and wretchedness that one hoped had been banished to the past in Britain. Barnard tackles this painstakingly and purposefully and heartbreakingly.